At Baja Bikes you can book safe bike tours and guided city tours with a Dutch guide. Check out the highlights or go right off the beaten track. Experience the inner city and find out how the locals live. On the bike you will feel at home in a Metropolis in no time. 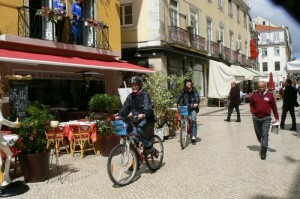 Experience a Highlights bike tour in Lisbon or a Tapas and fado guided walk.